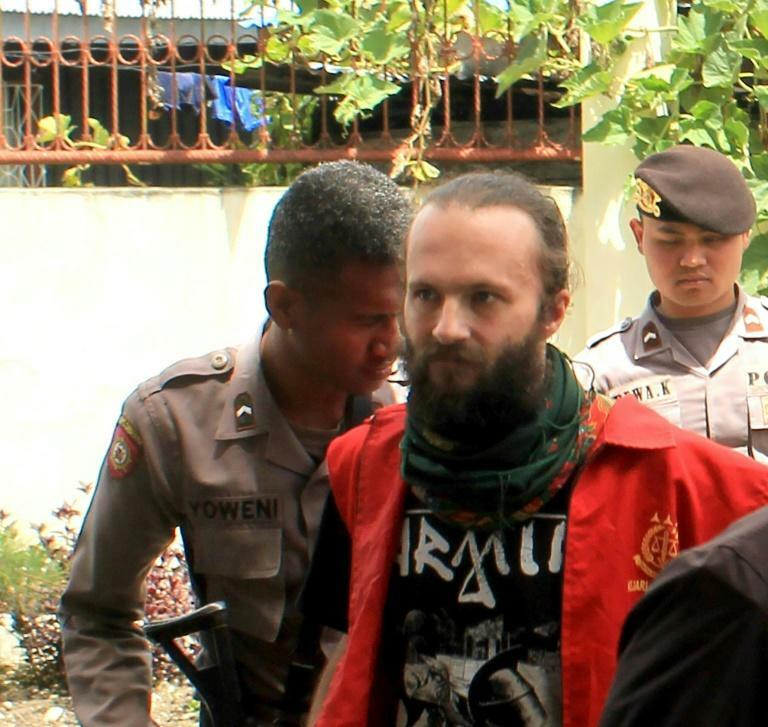 The trial of a Polish man accused of having links to Papuan separatists started Monday in the restive Indonesian province, with the 39-year-old facing up to life in prison if convicted. Jakub Fabian Skrzypski was charged in August after meeting rebels in Papua, according to prosecutors, who said he made contact with them to spread information about their decades-long fight for independence. Skrzypski faces a range of charges, including a plot to overthrow the Indonesian government and joining an outlawed rebel group, according to the indictment read to the court in the remote town of Wamena. The hearing lasted about half a day with the defense expected to formally respond to the charges next week. Prosecutors said the Pole had met with leaders of the Free Papua Organisation (OPM) and was found with documents and video detailing the Papuan struggle for independence. Jakarta is deeply sensitive about Papua, where a low-level insurgency against the central government has simmered for years, and routinely blames separatists for violence in the region. Skrzypski and an Indonesian co-defendant were also accused of discussing sourcing arms from Poland. Police previously said they had confiscated more than 130 rounds of ammunition from Skrzypski and three Indonesians, but that was not mentioned in the indictment. The trial had previously been postponed twice as officials searched for a translator to assist the defendant, who had also refused to attend court. But prosecutor Ricarda Arsenius said Skrzypski agreed to attend "after we talked with him and were able to convince him." Through his lawyer, Skrzypski issued a two-page handwritten statement Monday that blasted his prosecution, calling it a "propoganda trial" and lacking "any hard evidence". A conviction on some or all of the charges could mean a life sentence, according to his legal team. Papua shares a border with independent Papua New Guinea (PNG), just north of Australia. The former Dutch colony declared itself independent in 1961. Neighbouring Indonesia took control of the region two years later, but agreed to allow a referendum on independence. About 1,000 handpicked Papuans then unanimously chose to be part of Indonesia in the UN-backed vote, which is widely considered a sham. One of Indonesia's poorest regions, Papua has seen several spasms of violence over the past year, including in December when at least 16 employees of a state-owned company -- who were building bridges in a major infrastructure push for the impoverished region -- were killed by separatist rebels. Indonesian security forces have long been accused of rights abuses against Papua's ethnic Melanesian population including extrajudicial killings of activists and peaceful protestors.